Get your business off to a great start in 2019 with a comprehensive Enrollment Pack! These packs offer our best-selling products and an exciting way for you to grow now through December 31, 2019. Simply choose the one that best matches your area of interest. Become Bonus Qualified to increase your earning potential and open doors to so much more! ANY Active+ IBO can become qualified. Bonus paid to a qualified IBO for personally sponsoring IBOs or customers who purchase qualifying product packs. During the qualification period, the first active, qualified IBO in the upline Sponsor Tree Organization will earn the PURE Enrollment Bonus. The qualified IBO will earn the PURE Enrollment Bonus from each 500PV or 1500PV product pack sold thereafter, for the duration of the promotion. 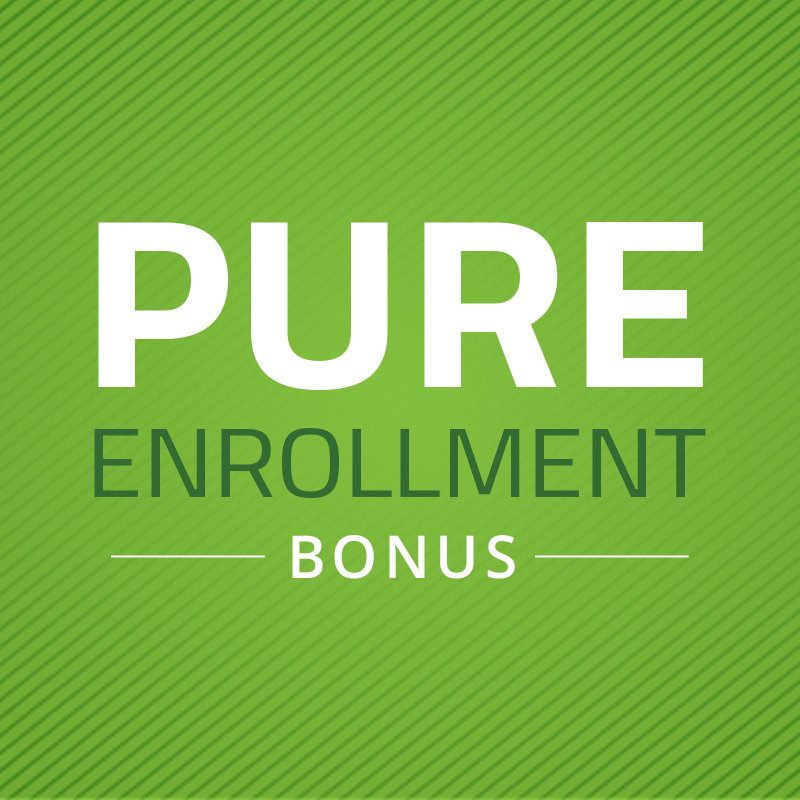 The first active, qualified IBO in the upline Sponsor Tree Organization will earn the PURE Enrollment Bonus during the sponsoring IBO’s qualification period. PROMOTION IS VALID FOR ALL QUALIFYING PACK PURCHASES AS OF JANUARY 1, 2019 through DECEMBER 31, 2019. + Active status is defined as having 100PV or more (either personal product purchases or product sales to Retail and Preferred Customers or any combination thereof) every 28 days.